Definition: A period of work offered by an organization, in order to gain work experience, for a limited period of time, sometimes without pay. Gain Work Experience: Internships give hands-on work experience that can’t be taught in a classroom setting. The experience learned through internships can be applied to real work experiences and gives a person firsthand day-to-day duties they can expect in their chosen field, fully preparing you for the workforce upon graduation. Explore a career path: Not sure what you want to major in college? 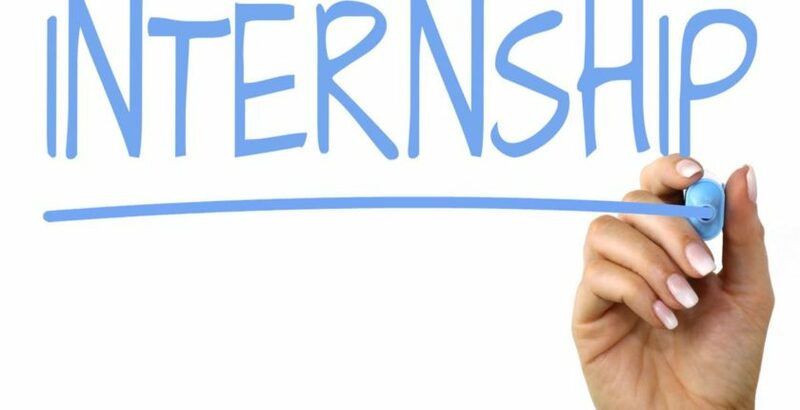 Internships provide you the opportunity to acquaint yourself in the field that interests you. Some students begin college in one major only to end up changing their mind. An internship allows you to work in your desired field, helping you decide if the field is indeed right for you. One step ahead in the job market: Having work experience stands out to potential employers. Internship experience also makes a college grad more marketable as they more likely will require less training and can handle more responsibilities. That way, by the time you enter the job market looking for your first adult job, you already have experience under your belt and the preparation as to what to expect in the job. These are things that those who lack internship experience won’t have. Having internship experience can also give you a higher starting salary compared to those who do not. Develop and refine skills: Internships gives one an opportunity to discover, learn and fail. You can learn a lot about yourself during your time in an internship. What are your weaknesses and strengths? Internships allow for feedback from supervisors and a unique learning opportunity that you may not find working as an adult. Internships are a time to ask questions, observe, take risks and make mistakes. Networking: Like anything in life, it’s all about who you know. As an intern, you will be surrounded by professionals in your industry. This is the opportunity to ask questions, learn from the professionals, make a good impression. Networking is vital in the job market because it’s about selling your attributes to the employer. What can you offer them, what skills and experience can you bring to the job? The professionals you may encounter during your internship can be your future colleagues or the liaison to your first job. Not paid: Many internships do not pay. This can leave many students unable to do an internship because they need work that pays in order to pay for school, rent, student loans, etc. Internships are also temporary work. The assistant story: You’ve probably seen those countless movies where the intern spends their day getting coffee, running errands, and end up not learning any valuable work experience. That’s because there are internships out there where companies take advantage of interns and treat them like their assistants rather than prospective employees. It’s important to look into internships and research the companies offering them. Read online reviews and talk to career representatives at your school to find out more about them. Irregular hours: Internships may not be designed around normal business hours, especially if you are a student, you will have to work around your school schedule. You may end up working odd hours of the day. Guidance counselor: If you are in high school, your school’s guidance counselor can help guide you in your search. They can help you understand what an internship entails and where to begin in your search. Career Center: If you are currently in college, your school’s career center is the best place to begin when looking for an internship. There, you can speak with an advisor who can help you in your search. They can help you locate certain internship websites, organizations, upcoming career fairs, and workshops. Job listing websites: Top websites for internships. What Does Millennial’s Look For In A Company?